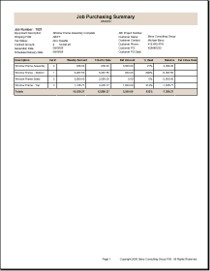 Description: Vendor listing which highlights any fields not entered in Vista vendor entry. 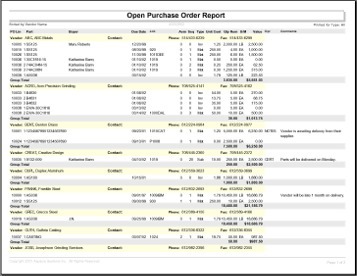 Description: Vista Purchase Order Receipt listing for user specified date range that shows the receipt details, then compares the receipt cost to the part average cost and lists the cost differential. 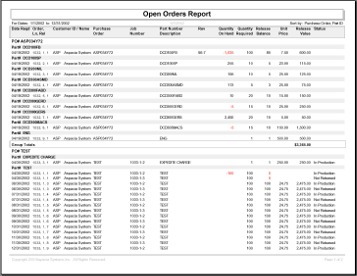 Description: Vista Daily Receipt Audit modified with additional fields and reformatted for readability. 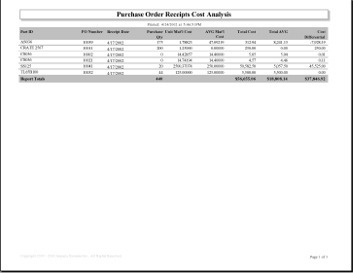 Description: Modified and reformatted Vista purchase order form with an alternate header for multiple pages.